Created in the early 1990s, National Guard Youth ChalleNGe is an intensive residential program for high school dropouts. 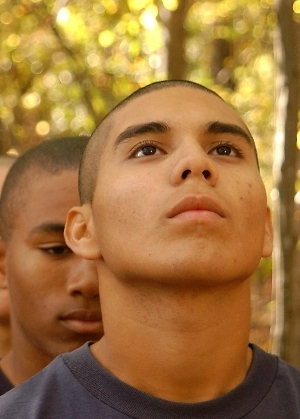 ChalleNGe has served more than 100,000 young people through a program model that includes an unusual and promising mix of features: a five-month residential phase with military-style discipline and a focus on promoting positive youth development and a postresidential phase built around mentoring. ChalleNGe now operates in 34 sites in 27 states and Puerto Rico. MDRC’s random assignment evaluation in 10 ChalleNGe sites found that, after three years, participants were more likely than their control group counterparts to have obtained a GED or high school diploma, to have earned college credits, and to be working. Their earnings are also 20 percent higher. These findings led the Office of Management and Budget to recommend increasing the federal share in this federal- and state-financed program and have encouraged new private investment in the program, including from the Edna McConnell Clark Foundation.